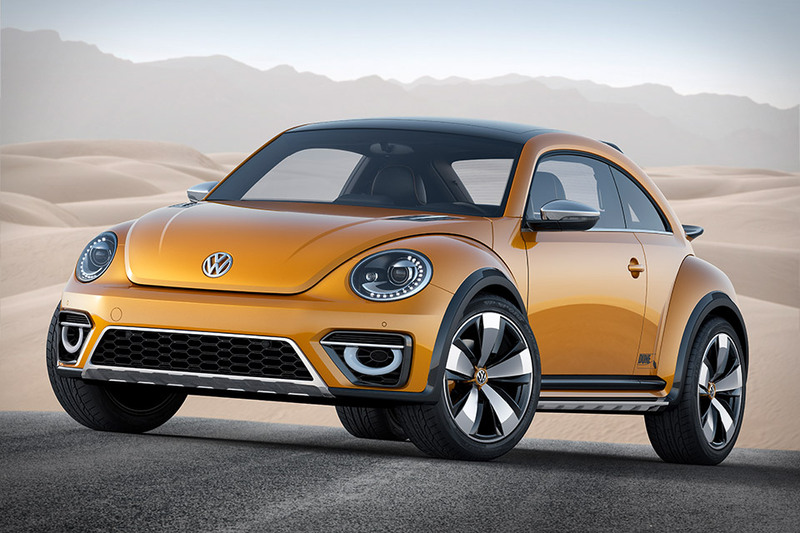 VW has played around with the idea of a buggy-style rides before — see the Volkswagen Buggy Up Concept, for example — but never has one come so close to production-ready as the Volkswagen Beetle Dune Concept. Based on the Beetle R-Line with same 210hp, 2.0L TSI engine but longer, wider, taller, and with additional ground clearance, this offroader features a ski rack built into the roof and rear spoilers, 19-inch wheels, Bi-Xenon headlights, LED fog lights, a 7.7-inch touchscreen, two-tone seats, and a six-speed DSG transmission. Sadly, still no word on whether this one might eventually make an appearance at a dealer new you. Normally cars transition from the real world into video games — in fact, the number of models included in a game has been a selling point for years. My how the tables have turned. Created by Calty Design Research for Playstation's Gran Turismo series, the Toyota FT-1 Concept is now a real-world ride. Inspired by the automaker's long heritage of sports cars, including the 2000GT, Celica, Supra, and Scion FR-S, the FT-1 boasts a front-engine, rear-wheel layout, a gorgeously curvy body with various inlets, ducting, vents, and a retractable rear wing, and a intimate, functional cockpit. The guys behind the Audi Allroad Shooting Brake Concept ($TBA) like to think that it represents the near future of automotive technology — and if trends are any indication, they're probably right. The car is powered by three motors: a gas-powered two-liter four-cylinder turbocharged engine, and an electronic motor in each axel. The gasoline engine and front electronic motor work in tandem for hybrid drive functionality that's capable of up to 123 miles per gallon, while accelerating to 62 mph in just 4.6 seconds. And when driving conditions get tricky, whether in light off-road conditions or slippery roads, the rear electronic motor will engage, giving it all-wheel-drive and some added torque. Concept cars are always fun, but they're even better when they portend a potential production car. Possibly foreshadowing the replacement for the XC90, the Volvo Concept XC Coupe ($TBA) is one of the latter, featuring only two doors but a full four seats. 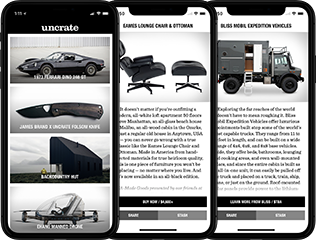 As with most concepts, details on the inner workings — such as the engine, transmission, and acceleration — are thin, but the car does boast 21-inch wheels, a floating grille, headlights with T-shaped light guides, orange details, matte rubber moldings, and underbody skid plates. The overall design was influenced by modern sports equipment, including the protective gear of Swedish company POC — which should come as no surprise, given that Volvos are as well-known for their safety as for their performance. It goes without saying that a concept car debuting at the International Consumer Electronics Show should boast some pretty impressive tech to earn its spot among all the gadgets and gizmos — and the Audi Sport Quattro Laserlight Concept ($TBA) does not disappoint. Its headlights represent the next big thing in automotive lighting, combining matrix LEDs with laser lights into its trapezoidal fixtures, giving them double the luminosity of existing LED headlights. Inside, a state-of-the-art touchscreen controls the infotainment and climate, with three-dimensional, high-resolution graphics made possible by an Nvidia processor. It's powered by a plug-in hybrid drive system and a bi-turbo four-liter V8 engine, giving you the option to drive in EV for up to 94 mpg, hybrid, or full-combustion. It's also incredibly lightweight, with many of its components made of aluminum or carbon fiber, while the engine system is capable of 700 horsepower and nearly 600 pound feet of torque, making for a debut worthy of its setting. While these days mid-engine and four-wheel-drive sportscars are somewhat less than remarkable, in the 1960s, they were pretty novel ideas. To say that the 1964 Chevrolet CERV II Concept ($1.1 million) was ahead of its time, might be a bit of an understatement. As CERV stands for Chevrolet Engineering Research Vehicle, this was really more of a proof of concept than anything ever slated for production. But as it stands, this V8-powered 550-horsepower 1,900-pounder is a thing of beauty, and a marvel of midcentury American engineering might. And while the price tag might be steep, there's no questioning the historical importance of this one-of-a-kind car. We're willing to bet you've never seen anything quite like the Nissan BladeGlider Concept ($TBA) before in your life — and for good reason — it is one radical ride. Based on a delta (or triangular) shape, this electric sportscar features a one-plus-two interior layout, with the driver seat isolated up front and the passenger seats in the rear. This design, along with plenty of surfaces designed to create downforce and minimize drag, help to optimize its aerodynamics, while carbon-fiber body panels and a lightweight battery help keep weight down. Little is known yet about the power output of its in-wheel motors, but chances are this thing will be as fast as it looks. The best thing about it: the BladeGlider isn't just a concept, it's also a plan for the future of Nissan's electric sportscar lineup.